After several years of heavy duty restoration, the historic Wilshire Boulevard Temple in LA’s Koreatown neighborhood is once again open. 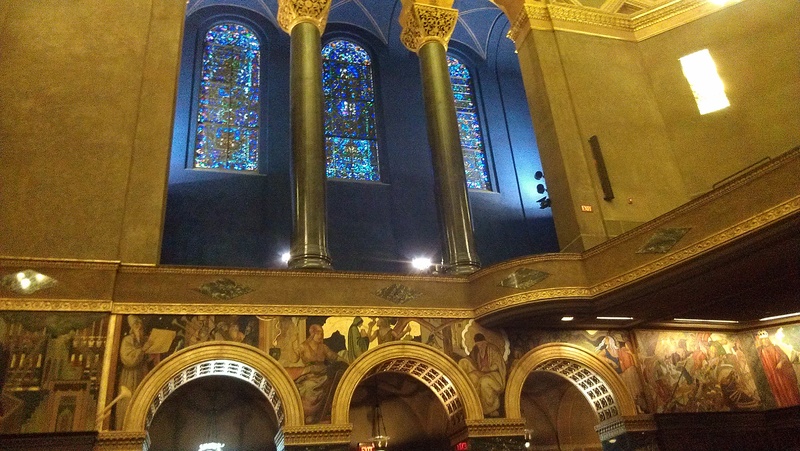 Earlier this month it offered services during the High Holy days, and this Sunday the synagogue is putting on an interfaith concert for the public. 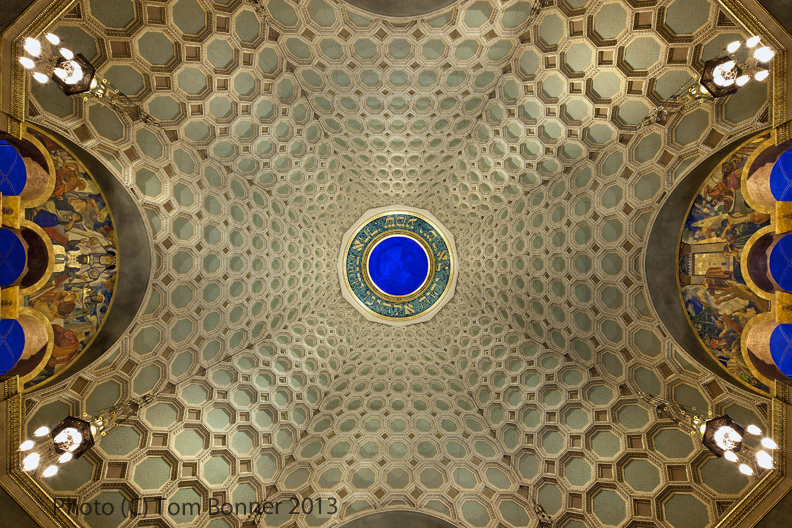 The center of the Wilshire Boulevard Temple dome. The concert on Sunday is sold out, but you can stream it online here. 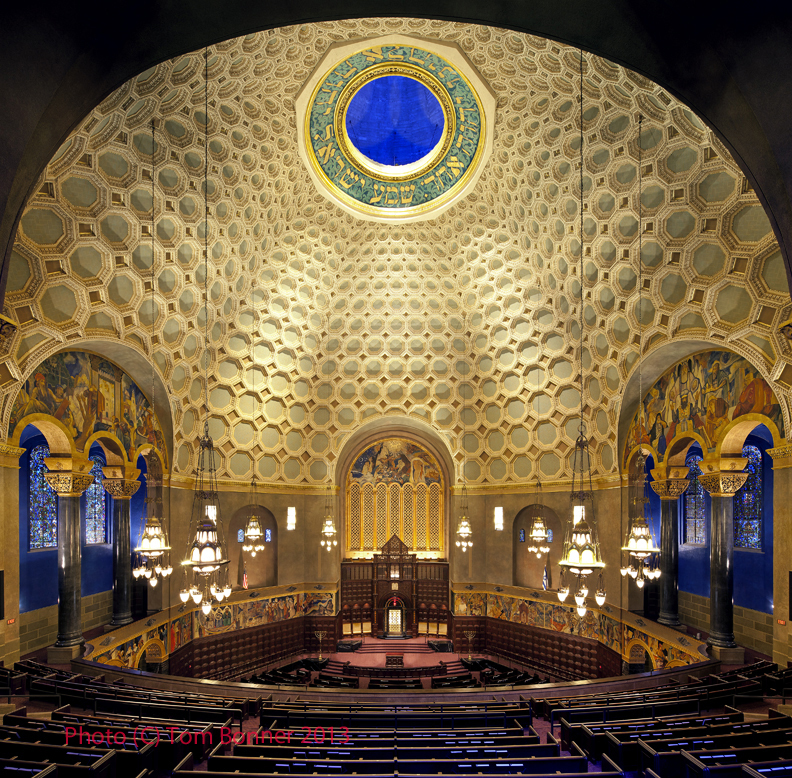 The renovation of the Wilshire Boulevard Temple is being overseen by Brenda Levin, the head of Levin and Associates. You’ve probably heard of some of their other big conservation projects: The Bradbury Building, Grand Central Market, The Wiltern Theater, Griffith Observatory, City Hall, and Dodger Stadium. A detail of the sanctuary’s stained glass windows and the mural painted by Hugo Ballin. It’s hard to overstate just how extensive the renovation of the synagogue is. New floors and carpeting were put in, the walls and ceilings were scraped of old paint and crumbling plaster, and the murals depicting Jewish history had to be restored. 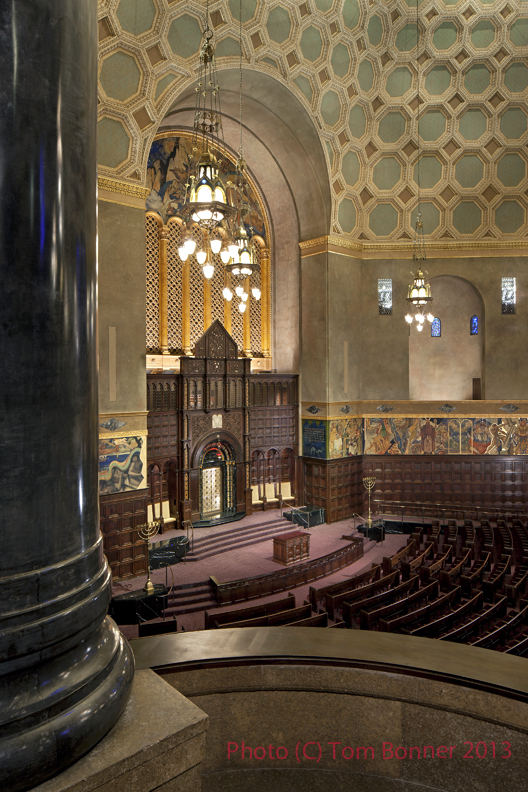 They were originally painted by Hollywood art director Hugo Ballin, and commissioned by the Warner brothers – one of many connections the synagogue has long had with the film industry. One of the biggest challenges was restoring the Rose Window, an enormous stained glass masterpiece surrounded by cast stone. “This was one of the more vulnerable aspects of the building that was identified early on as a potential falling hazard, meaning the cast stone could have broken away and fallen out onto Wilshire Boulevard,” Levin said. The newly-commissioned Memorial Wall, designed by artist Lita Albuquerque. Many Jewish leaders told Leder to focus on West Los Angeles, where much of the Jewish population had shifted over the years. 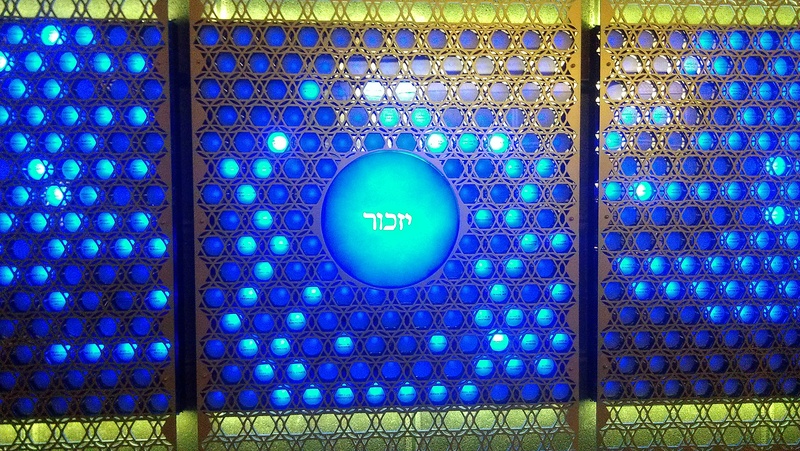 But Leder maintains that Jewish life on the east side of town is seeing a renaissance. 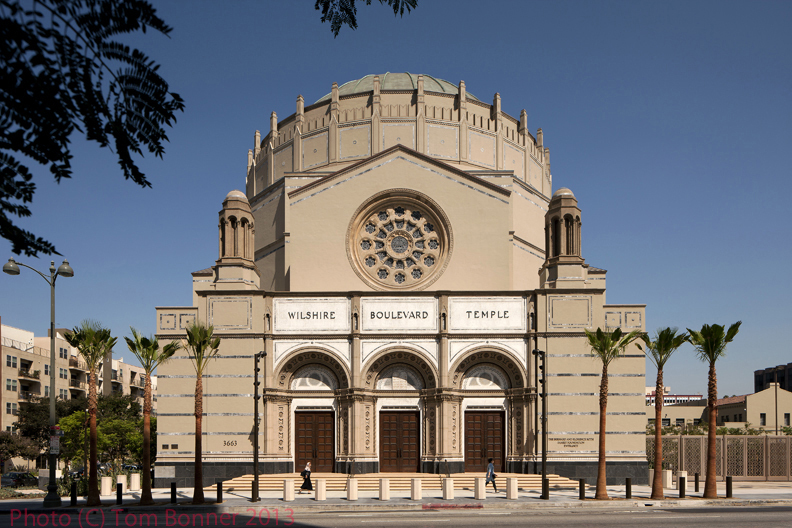 He wants Wilshire Boulevard Temple to be its hub. 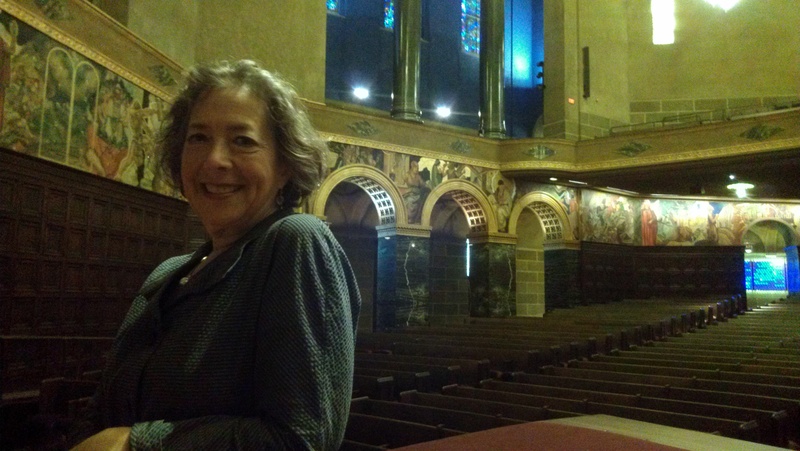 Architect Brenda Levin in the sanctuary of the Wilshire Boulevard Temple. Photos by Avishay Artsy.